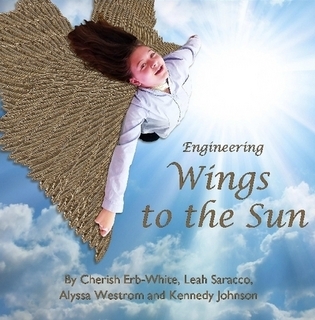 Four sixth grade girls from Baden Academy brought their diverse experiences together to write a book, Engineering Wings to the Sun. The inspiration for their study was based on the classical myth about Icarus, a boy who tried to fly on wings made of wax and feathers, but who failed because he flew too close to the sun. The girls—Kennedy Emery, Cherish Erb-White, Leah Saracco, and Alyssa Westrom, wanted to explore if modern technology would make Icarus’ flight possible. Their exploration included the material sciences of ceramics, as well as the manufacturing processes of 3D printing. Mrs. Houston, a fifth grade science teacher at Baden Academy, had shown them an actual ceramic tile that was used on the Space Shuttle. Fellow Baden Academy students Destiney Campbell and Lizzie Hoge (from the Sun Superheroes fellowship) shared with them information they had learned about carbon-carbon ceramics used on the Parker Solar Probe. 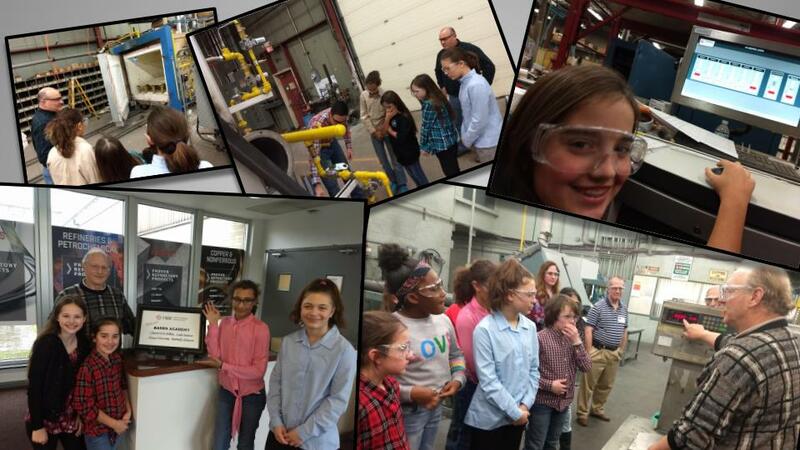 And the four girls went on a field trip to two manufacturing companies—Swindell Dressler and Harbison Walker—to discover more about the kinds of super strong materials that can withstand extreme heat. Alyssa and Kennedy, both veteran leaders of Baden Academy’s 3D Printing club Future Engineers, were able to understand many of the challenges facing the 3D printing of ceramics. And co-author Cherish was able to apply some of what she was learning in this project to the local Future City competition, and she contributed greatly to her team’s recent win. Please come and enjoy their story of discovery and root for these young engineers and they try to fly to the sun! Profits from the sale of the book go to the American Ceramics Society. Alyssa, Cherish, Leah, and Kennedy would be thrilled to visit your classroom, library, or community event to share their story and read their book aloud. Please contact Dr. Ellen Cavanaugh at Baden Academy for information. This public charter school in Beaver County, Western Pennsylvania, works to inspire personal excellence. It cultivates the inherent gifts and talents present in all children by providing a curriculum that integrates the arts and sciences in a highly interactive, hands-on environment.